Successfully Added Witcher 75W Mod Vaping Kit - Rebuildable Atomizer, VT Ni / VT Ti / VT SS Power Modes, 3 Coils, 98% Efficency, Temp Control (Red) to your Shopping Cart. The Witcher 75W vaper is an all-in-one box mod kit from Rofvape that packs all the necessary means to enjoy countless hours of upcoming relaxing vaping sessions. Thanks to its elegant and compact design, this 75W box mod feels comfortable to the hand while in use. Additionally, its design makes this vaper extremely portable – allowing you to conveniently carry it along wherever you go and to enjoy a relaxing vape at any time of the day. Coming with top-class Fiber Freaks cotton that has been carefully selected, this box mod kit produces the best vape and taste experience out there – allowing you to enjoy your upcoming vaping sessions to their absolute most. This durable vaper has been crafted out of high-quality aluminum, stainless steel, and zinc alloy – making it not only stylish to the eye but also extremely tough. Its large 5.5ml top-filling tank allows you to fill up this beauty with plenty of your favorite tasting vape liquid – ensuring that you’ll never run out of juice while enjoying a relaxing vape. Simply fill it up with the taste of your liking and you’ll be able to sit back, relax, and enjoy countless tasteful vaping sessions to come. Capable of fitting tanks with a diameter of 23 to 25mm, and featuring a gold plated spring loaded center pin that supports 510 thread connections – this vaper brings along plenty of options for you to choose from when using this vape mod kit. Along with its 18650 battery (not included), this Witcher mod comes with an extremely high efficient of 98%. Featuring an adjustable Wattage range in between 7 to 75 Watt, this Witcher vaper is suitable for usage by persons of any level. Whether you’re a starter that wishes to leaves behind harmful tobacco products, or an advanced vapor – this box mod kit is guaranteed to bring along hours worth of vaping joy for everybody out there. Besides its adjustable Wattage, the Rofvape Witcher box mod kit also features an adjustable temperature range – letting you set temperatures ranging from 95 to 315 Degrees Celsius. Capable of handling up to 0.5-ohm, this vaper mod can take on large amounts of Wattage – allowing you to enjoy great taste and produce magnificent vapor clouds. Additionally, this high-end vaper mod kit also features a sophisticated LED display that constantly keeps you updated about the current status of your vaper – ensuring that you’ll always have the right settings enabled that allow you to enjoy this vaper to its absolute most. With its durable and rebuildable design, the Witcher 75W vaper lets you conveniently replace its atomizer and tank on any given occasion – allowing you to replace old parts or simply upgrade your vaper to your exact liking. Additionally, this vape mod kit features several levels of protection, making it easy and safe to use for anybody out there. 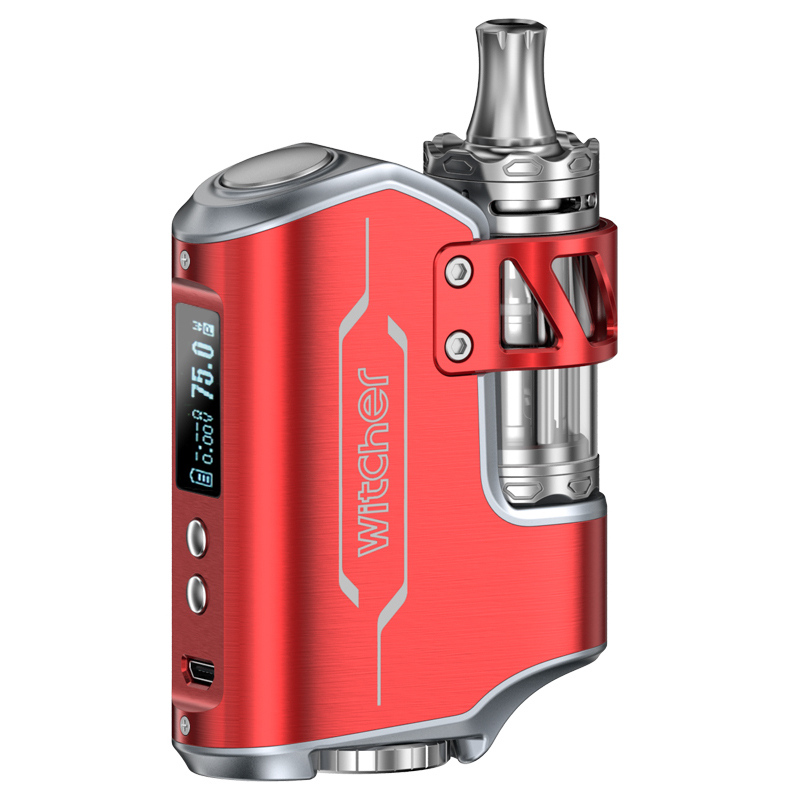 The Witcher 75W Vaper comes with a 12 months warranty, brought to you by the leader in electronic devices as well as wholesale electronic gadgets..
Looks and works as described. Comfortable fit and design. Nice Unit Looks and works as described. Complete with retail Packaging , well protected shipping package. I am impressed, Chinavasion support it is timely and top notch.Will be making future purchases for sure.